After more than a century of living under a system of monopolistic providers and high electricity rates, the Texas State Legislature enacted legislation to deregulate the electricity industry and opened it up to competition on January 1, 2002. Texans, for the first time, have the ability to choose their electric provider. The production of electricity at power plants across the state was deregulated in 1995, resulting in a large supply of new cleaner and more efficient power plants. Power generated by these plants is sold on the open market. Transmission and Distribution Service Providers (TDSPs) are wire and pole companies, responsible for ensuring that electricity is delivered efficiently and safely. They also manage maintenance of the wires and poles, any outages and any emergencies. Delivery of electricity is still regulated and monitored by the Public Utility Commission of Texas. The Retail Electric Providers (REPs), such as Direct Energy, are responsible for selling electricity, generating bills, and providing customer service. REPs do not deliver electricity or maintain the wires and poles - that's done by the TDSPs. REPs now compete for your business. You are no longer forced to purchase electricity from the monopolies. Competition has given customers multiple options, which has brought down electricity costs. The Texas Model has made switching easy and quick. Currently, most switches take place in seven days. Even the switches that need additional work has no impact on the delivery of the customer's electricity while the switch is being completed. 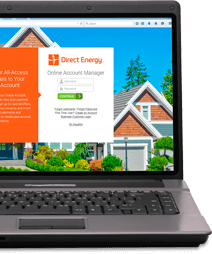 Feel confident that when you choose to change providers to a company like Direct Energy, your only worry should be how to use your savings. Electricity generation relies on resources that fluctuate in price such as oil and gas. As this fluctuation continues, budgeting for your electricity bill may become increasingly difficult. That's why Direct Energy has introduced multiple programs to help you manage your costs in this volatile market.